In Search of Time and Talent! 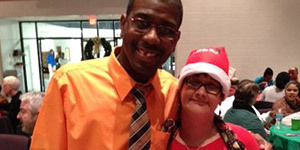 Looking for a fun way to make a difference while meeting others? From our fundraising events, to our client parties, to ongoing maintenance and mailings, we have a variety of volunteer opportunities to fit your schedule and maximize your skill set. 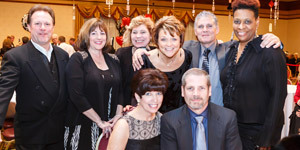 Our Annual Gala is held in March at Odyssey Country Club in Tinley Park, Illinois. Our volunteer opportunities include but are not limited to: joining our planning committee, creating auction baskets the week before, assisting with set up the day of, manning the check in table that evening, and helping with events throughout the night. 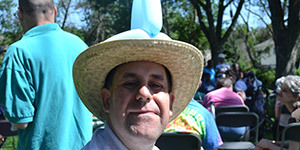 Held in June at Prairie State College, our Stroll ‘n Roll is a fun-filled day for our supporters, consumers, and families. Volunteers have the opportunity to join our planning committee, assist with set up the night before or the day of, help with registration, serve as guides along the trail, and hand out ribbons. 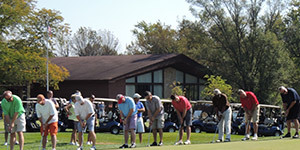 Our annual Golf Outing is held in late September at Idlewild Country Club. Volunteers help make this event a success by joining our planning committee, putting auction baskets together the week before, helping with registration the day of, and conducting games out on the green. Every year we help our clients celebrate the holidays with a Halloween party in October and two holiday parties in December. Volunteers enjoy working directly with clients and staff by helping with set up, wrapping gifts, serving food, and cleaning up. Each spring we need volunteers to work side by side with our clients as they beautify their properties. Volunteers enjoy getting their hands dirty while pulling weeds, cleaning up flower beds, spreading mulch, and planting flowers and shrubs. In June we celebrate the start of summer with an agency wide picnic. Our volunteers help make this a memorable day for our clients by setting up outdoor activities, assisting clients with games, serving lunch, and cleaning up.